There is an excellence in knives manufacture that makes people astonished in using them and fascinated in observing them : the knives with damascene steel. A Japanese art that Kai developed and brought forward to a maximum functionality in the Shun Classic line. 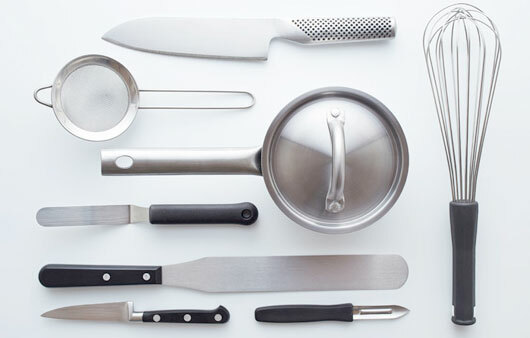 Wonderful knives to use and to look at that can be displayed as a picture. 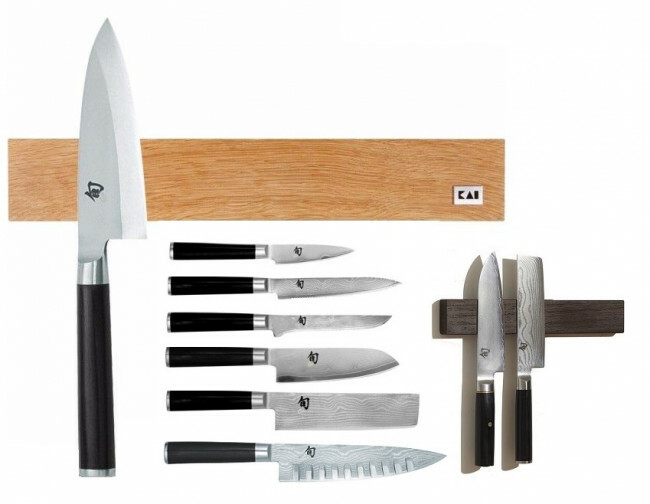 This set allows to join perfect shapes and dimensions to a practical use of the magnetic bar, allowing the user to hang knives after work like a picture. Every Shun knife is a unique item, an artwork. The Shun Classic professional knives are made with an inner layer in super steel VG-10 extremely resistant to corrosion, with hardness 61 HRC and allowing to maintain an unequaled always sharpened blade. The two outer sides of the blade are produced in damascene stainless steel of new generation with 32 strata. 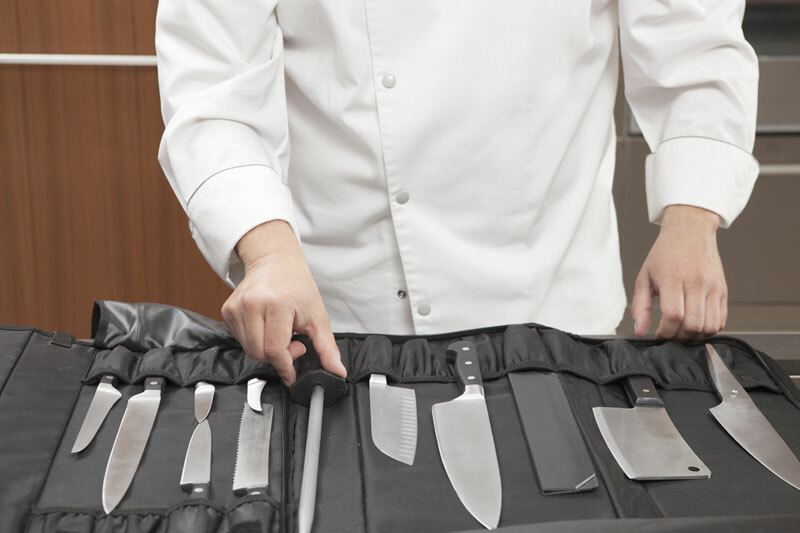 Thanks to the convex surface of the blade and to the manual sharpening of every Shun knife, an unequaled cut is obtained making the knife slip easily even through the most difficult foodstuffs to cut. This cutting-edge together with the balanced weight of the knife, allow to work without efforts. The handle is made of laminated wood (pakka) very strong and elegant thanks to its ergonomic shape. The transversal section of the handle has the Japanese traditional shape of a chestnut, that comfortably adapts to the fingers. Thanks to the new Fulltang type of construction, the shape extends up to the end of the handle. Therefore the blade and the handle are perfectly united one to the other and the knife can be handled in an optimal way. Delivery time: 15 working days.